Connecting your phone to your TV is not as difficult as it sounds: today we have a good amount of media that allows you to share videos, photos or even the entire screen of your mobile device on your television, regardless of whether it is an iPhone or an Android. Check here all possible ways to connect the phone to the TV, either by cable, via Wi-Fi, directly or through accessories. No talk: the only way to mirror the screen of an iPhone or iPad (or even MacOS ) on the TV is through Apple TV, since apple products require the proprietary AirPlay protocol to connect an iGadget to the TV in your room. You must identify the screen sharing icon (usually ) or use the AirPlay option to do screen mirroring in the iOS Control Center and identify to which Apple TV the content should be transmitted and confirm. You can still connect iOS mobile devices to your TV using the next method, at least to play videos and photos on a large screen. Owners of Android devices have more options to connect their handsets to a TV than users of iPhones. One of them, and quite popular is to use the proprietary Google Cast protocol, which although owner like AirPlay is present on both Chromecast and set-top boxes from various manufacturers. With Chromecast or a compatible set-top box installed and configured, an Android device connected to the same Wi-Fi network will display the broadcast icon via Google Cast in compatible apps ( Netflix, Spotify, YouTube, etc.) to stream videos, music, and photos, you need to use the Google Photos app ( Android, iOS ), select the content and select the broadcast option. However, the screen-mirroring option available on the Google Home app ( Android, iOS) is not compatible with the iPhone or iPad, and is an exclusive Google feature. If you do not have a compatible Google Cast device, you can still cast content from your Android device to a TV via the Miracast protocol, which is present on almost every TV available on the market but little publicized. Developed by the Wi-Fi Alliance, the Miracast is a standard for 5.1-Surround Sound audio transmission, up to 1080p video and still images without the need for a cable or Wi-Fi connection to the point between the TV and the smartphone/tablet, so both devices must be compatible. With everything ready, just use a compatible app and stream directly from your smartphone to your TV without interference or dependence on Wi-Fi or Bluetooth. 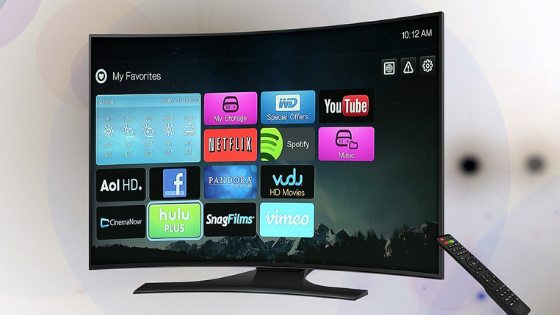 Technology-enabled TVs can call the feature in different ways: Samsung, for example uses the name Screen Mirroring; Sony already calls the Miracast Screen Mirroring; LG and Philips in turn use Miracast itself. other Chromecast-like streaming devices, such as the Microsoft Wireless Adapter and the Anycast alternative. You can also connect the phone to the TV using cables, and there are two compatible standards, SlimPort and MHL. The first uses the VESA standard, so it is compatible with the largest number of connections: in addition to HDMI, it supports DisplayPort, DVI and even the legacy VGA; the second adapters only work with HDMI ports and in most cases need external power. The advantages? Wired connections support resolutions from 4K up to 8K, plus 7.1 Surround Sound audio with True HD and DTS-HD. Both are compatible with a large number of TVs, smartphones and tablets available. An MHL cable, with HDMI connections for the TV, microUSB for the smartphone (if your device has a USB-C port, you need an adapter) can be found in the retail network for prices between $30.00 and $50.00. A SlimPort cable is more rare, because it is less sought by consumers and can cost between $100 and $150 in importers. Finally, as an Android smartphone is still an external storage device, you can connect the phone to the TV with the USB cable, and display your photos directly on the big screen of the TV. Only a few caveats: Such a method does not work with files, so you can not play videos stored on your mobile device. Although much more limited, it is the most practical way to show your friends your latest photos.